I actually had no idea what I wanted to wear with the hat. I didn't want to look 'too much' but I always try to avoid 'too simple and boring' outfit, too. 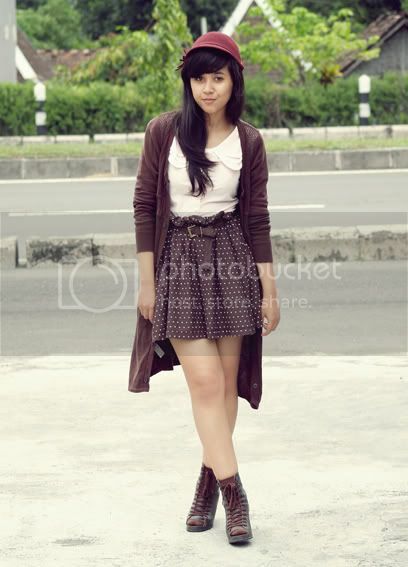 I think pale pink and maroon is not a bad combination, though. Maroon, soft pink and brown is a gorgeous combination! 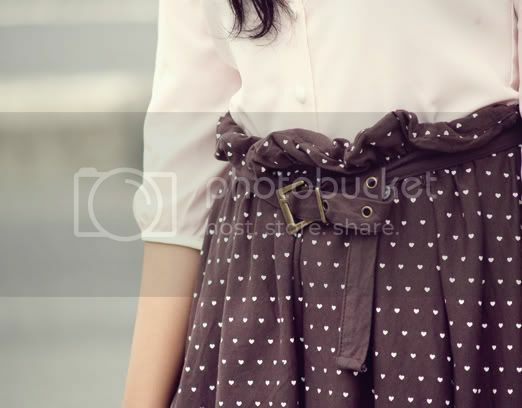 So creamy and rich and just plain beautiful :) Love the detail on your hat, blouse collar and the sweet polka dot skirt. hey.. where's daisy dayz from ? is it an online store ? im ssooooo in love with that blousseee ! beautiful outfit! I love so much your cute hat! topimu lucuuu.. atasanmu lucuuu.. sukak!! What a huge satisfaction to get to know a blog so amazing! This blog is very beautiful and nice to navigate! inspiration. And this blog has done this to me. How rich content! I'm following you, will do my best to mark presence. But believe me that is already in my folder of favorite blogs! I am also following you in other communities. Fashion foreign influences me a lot. Give me the honor of your visit to my blog? If you like my work, I'll be very happy and pleased to have won a new blogger and follower of your potential! Thank you in when you can visit me. I saved in my inspiration folder! Wonderful! Beautiful photos! lovely skirt! and the hat!!! adorable! love your skirt!waiting for your next post. 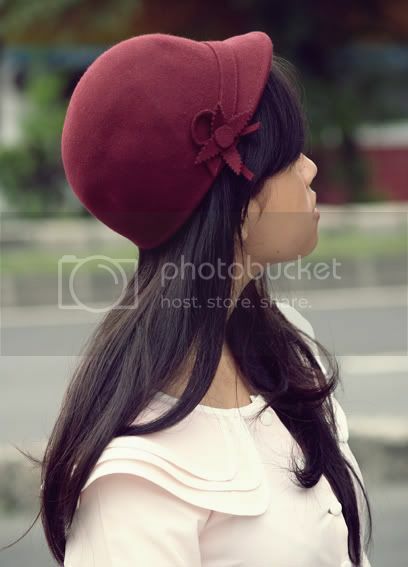 I love your Hat.. Love your Hat..Love your Hat..
PS:join my give away. a cute summer dress. lovely! could ur blog header B more bad@$$? i think not. LUV it!